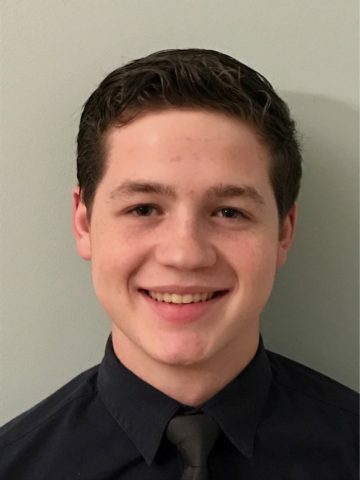 A McNair Academic HS senior, Jackson Weaver, has been named a finalist in the Regeneron Science Talent Search, the nation’s oldest and most prestigious science and math competition for high school seniors. Forty finalists, from a pool of 300 Semifinalists and over 1,700 entrants, were selected based on the scientific rigor and world-changing potential of their research projects. He is the second finalist from McNair in the last three years with Eswar Anandapadmanaban having been named a 2015 finalist. The Regeneron Science Talent Search, a program of Society for Science & the Public since 1942, (previously sponsored by Intel and Westinghouse) focuses on identifying the next generation of scientists and engineers who will provide critical leadership in solving some of the world’s most pressing challenges while shaping the future of research and development for our nation and the world. Finalists receive at least $25,000 from the Regeneron Science Talent Search and compete for more than $1.8 million in top awards. The top 10 awards range from $40,000 to $250,000 for the first-place winners who will be announced at a formal awards gala at the National Building Museum on March 14. In addition, McNair has also received $2,000 for having a Science Talent Search scholar. Weaver, whose project is The Electrifying Speed of Enzymes, will now go to Washington, D.C. from March 9-15 to undergo a rigorous judging process to determine the top 10 winners. He will also have the opportunity to meet with national leaders and share his project with the public at the National Geographic Society. Weaver’s project explores how electrical energy affects molecular reaction rates and may help develop new medical therapies. His AP Biology teacher, Ms. Chumki Gupta provided mentoring and support in developing and conducting his research. “These 40 young scientists, engineers and mathematicians are poised to be the next generation of leaders in business and academia,” said Maya Ajmera, president and CEO of Society for Science & the Public and publisher of Science News. “Science breeds curiosity, enabling innovators to develop solutions that will help solve our world’s most pressing challenges. We are proud to celebrate 75 years of recognizing new innovations and research demonstrating the outstanding capabilities of young minds.” The Society has produced and organized the Science Talent Search since it was founded in 1942.